I live in Ventura, Coastal Southern California. I have been using Terro liquid ant baits for months and the ants have been feasting on it and thriving. I have taken ants to my local nursery and been told that they are Argentines and that they are immune to Terro baits. They always take to newly placed Terro baits immediately and in large numbers. I recently received my General Ant Kit and replaced the Terro with Advance bait stations, with a Pea sized glob of Gourmet Gel added in each station, leaving much of the Advance bait also exposed. I put these in the exact same locations where the ants always take to new Terro baits immediately. I have seen 1 or 2 ants occasionally investigating one of the Advance stations in the first 2 days, but none at all in the past 24 hours. The baits are in the Ant Trails in the same locations where new Terro baits always get taken immediately. HELP! The second step is to invest in a long term program and utilize the KM Ant Pro System with Gourmet Liquid Ant Bait. This is the only system outside of spraying (continually) that will have an effect on the Argentine Ant. There is no known "immunity" or what is actually called "resistance" to Terro or any of the boric acid baits. Watching the ants feed and making a determination based how many ants are feeding will not work. Most ants are nocturnal and will feed at night. Also, ants, do not just wander up to a food source and begin feeding, they have to be instructed to feed based on a "trail" pheromone left by "scouts" or ants that instruct the workers to feed. Placing baits in the exact same location and expecting better results will not work either. Once a particular bait is applied, if you use a different bait, it has to be applied in a different location. There are a lot of little idioscyncrasy's that apply to baits and baiting. It's not easy, and there is no magic or cheap cure for killing potentially "millions" of ants. 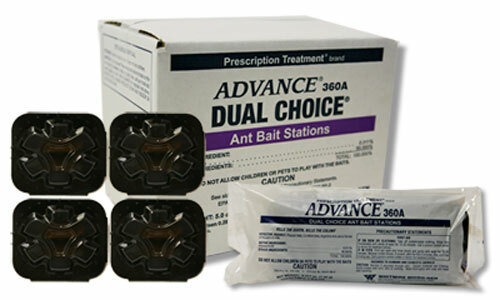 A long term baiting strategy - outdoors - is where you have to begin with this ant.